A review of Gold and Silver Production in Imperial China: Technological choices in their social-economic and environmental settings, by Liu Siran. Liu Siran’s thesis presents an interesting, contrasted and exhaustive reconstruction of ancient technologies and convincingly demonstrates the profound influence of the technology in economic, political, social and cultural aspects. Strongly focused on material science analyses, Gold and silver in imperial China offers nonetheless an appropriate balance of archaeometric, archaeological and historical resources to explain the technology as an integral part of human life, and critical to approach and understand past human behaviours. Specifically, this research investigates the foundations of precious metals metallurgy, by looking at the primary production of gold and silver production by means of two main conceptual works: chaîne opératoire and technological choices (Dobres 2000; Sillar & Tite 2000). Silver production of three sites –Baojia, Megshan, Yanchuan– in south and north China is approached by the analyses of technical materials– namely slag, crucibles and furnace wall remains, and ores– to reconstruct not only the engineering parameters from mine to end product but also to explore the organisation, scale and technological efficiency of the different productions types. The results “revealed the existence of several unique technologies that depicted a diversified picture of the production of precious metal during the Tang-Yuan period of imperial China (7th -14th century AD)”, whereas the contextualised comparative studies between the three sites “revealed a range of social-economic and environmental factors which constrained the technological choices of the ancient smelters and led to the evolution of varied technological traditions in the different regions of China” (p. 328). In parallel, a series of well conducted experimental smeltings were “used to decipher complex pre-modern smelting technologies” (p. 84). In the introductory chapter Liu outlines the research gap since most of the studies are focused “on characterisation of international relationships, the evolution of market economy, and changes in social structures in imperial China” (p. 30) while the study of the massive production of precious metals is its infancy. This thesis focus on the where, how and by which means the several tonnes of precious metal necessary to sustain the imperial administration and the quotidian life of their citizens. The technological reconstruction is extremely significant since on the one hand “precious metal production is a highly flexible process leaving much space to develop different technological trajectories to achieve the same goal” (p. 32) and on the other the “production is related to the political situation of the contemporary society” (idem). This therefore reveals that the study of technology can reveal a good deal about the society that developed it and not merely the engineering process. This dissertation intends to reconstruct technologies not well recorded in historical sources; contribute to creating a baseline for interpretation methodology for precious metal smelting; and understand why different technologies were used at each site (pp. 32-33). Chapters 2 and 3 provide the necessary background. Chapter 2 explains the three mechanisms to smelt gold and silver with reference to investigated archaeological sites –Roasting-Reduction, Roasting-Smelting and Iron Reduction Process (IRP)–; explaining the pros and cons of each technical solution in terms of recovery efficiency, fuel cost, degree of technological knowledge, complexity of required facilities, etc. (pp. 35-45). In parallel, Liu points out the particular role of precious metal in China where gold and silver did not play a significant role until late chronologies (pp. 46-47), with a slow adoption of precious metals as symbols of wealth and social status –these were reflected in the use of bronze and jade (Marshak 2004)–, whereas “silver and gold had a much closer value than anywhere else in the world” (p. 49), gaining relevance in the monetary function from punctual periods of copper shortage during the Tang Dynasty (p. 48). Chapter 3 outlines the theoretical framework and methodology of the research where the vital aspect is not a mere reconstruction of the technological process but to explore its social meaning; viewing the technology in context and approaching ancient craft production systems and its social context (Costin 1991; Roux 2003). The methodological aspects are also explained in this chapter –fieldwork and sampling strategy, analytical methods used (OM and SEM microscopy, WD-XRF spectrometry, etc. ), data quality, and parameters of the experimental reconstruction. Chapters 4, 5 and 6 are the heart of the dissertation concerning the study of the three archaeological sites. These chapters begin with a historical-archaeological background, followed by the characterisation of the technical materials and end in a technological reconstruction based on the results and relevant comparative materials that is challenged with the experimental archaeology results. These last sections are a vital part of the dissertation since frequently the analyses of technical materials offer contradictory results clashing against established paradigms of the metallurgical process, whereas the experimentally produced data convincingly explains the technological features, proposing imaginative solutions and solid arguments to explain the discrepancies. For example, in Baojia the experimental data determines that the smelting temperature did not require a high melting point of more than 1300°C – temperature suggested by the phase diagram and hardly attainable by ancient smelters– but significantly lower (~ 1100°C) and perfectly feasible in pre-modern furnaces (pp. 139-155). Other examples where the experimental data was crucial is in the inconsistency of quite viscous slag but good metal recovery in Yanchuan (p. 266), which openly contradicts the likely most assured principle of ancient extractive metallurgy which demonstrates that the less viscous the slag the maximum the metal recovery (e.g. Bachmann 1982; Rothenberg 1990; Hauptmann 2007). The discussion of the thesis is divided between chapters 7 and 8, the former regarding the technical features while the latter analyses the technology in context, referring to any external reason with influence in the election of each particular method. It is argued that there are two contrasted technological traditions between north and south, and that each site follows a different technology: Baojia and Mengshan used furnaces, but whereas Baojia is the first documented evidence in the use of the IRP method (p. 138). Mengshan practiced two different techniques— Roasting-Smelting and a variant of IRP. The reasons to help with each specific technology are explained in terms of multiple variables, e.g. the IRP method achieves greater recovery efficiency but requires metallic iron, thus is not widely adopted since purchasing iron was very costly with significant impact in the cost of the whole production process (p. 293). However, in Baojia this method was necessary to extract as much metal as possible from their poor ore –but still profitable for independent smelters– whereas in Mengshan a better quality ore was available and thus they opted for different methods that although were less efficient in metal recovery, were cheaper to produce, and ultimately more cost-effective. On the other hand, Yanchuan operated with crucibles and not furnaces probably due to environmental reasons as, unlike the south they had access to coal rather than charcoal, which is not suitable for gold-silver smelting since its abundant impurities are very hard to remove and this negatively affects the metal. 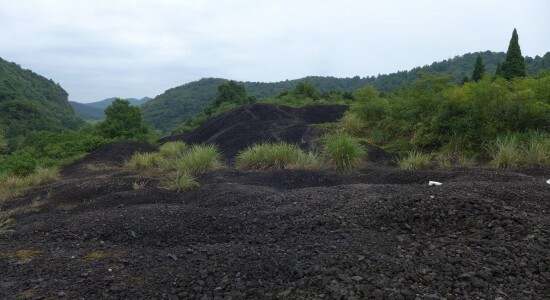 The people of Yanchuan therefore came up with a technique that did not use charcoal, thus simultaneously avoiding the cost of importing fuel, and where coal is not in direct contact with the mineral charge –therefore not contaminating the metal. Based on the shape, size, ceramic fabric and operation of the crucibles a cultural transmission from Central Asia is suggested, with strong similarities between the lead-silver smelting crucibles of Yanchuan and the crucible-steel vessels of the Eurasian Steppe. This dissertation will be of interest to any scholars interested in the technological aspects of ancient Chinese metallurgy and the history of metallurgy generally, as well as those interested in principles of extractive metallurgy, economic history or the relationship between technology and society. Remarkably, this work constructs an excellent approach to ancient societies throughout the study of technological remains which, in my opinion, provides two major contributions: one concerning the kinetics of extractive metallurgy regarding the unstudied role of sulphur in the smelting processes, and the other regarding the interpretation of historical sources and the existence of multiple parameters to adopt a specific technology since “most researchers seem to automatically assume that metallurgical technologies had been unified across the whole area of the empire […] (but) the territory of China might not have been well connected and unified” (p. 327). Bachmann, H. G. (1982). The identification of slags from archaeological sites. London: Institute of Archaeology. Costin, C. L. (1991). Craft specialization: issues in defining, documenting and explaining the organization of production. Archaeological Method and Theory, 3, 1-56. Dobres, M.-A. (2000). Technology and social agency: oulining a practice framework for archaeology. Oxford: Blackwell Publishers Ltd.
Hauptmann, A. (2007). The archaeometallurgy of copper: evidence from Faynan, Jordan. Berlin: Springer. Marshak, B. I. (2004). Central Asian metalwork in China China: dawn of a golden age, 200-750 AD, pp. 47-55. New York Metropolitan Museum of Art. Rothenberg, B. (1990). The Ancient Metallurgy of Copper: Researches in the Arabah. London: Institute for Archaeo-Metallurgical Studies, University College London. Roux, V. (2003). A dynamic systems framework for studying technological change: application to the emergence of the potter’s wheel in the southern Levant. Journal of Archaeological method and theory, 10 (1), 1-30. Sillar, B., & Tite, M. (2000). The challenge of ‘technological choices’ for material science approaches in archaeology. Archeometry, 42, 2-20. Institute of Archaeology, University of London. 2015. 381 pp. Primary Advisor: Marcos Martinón-Torres.